77% of Pandora’s listener hours are from mobile users, and that accounted for the majority of overall growth for the internet radio company’s fiscal third quarter earnings. Pandora’s listener growth has proven to be a double-edged sword. After going public last year, the company posted losses with the increase in royalty payments for the songs it plays. Through this most recent quarter ending October 31st, Pandora’s shares slid about 20% over rising costs. Listener hours were up 67% from a year ago, to 3.56 billion. License fees have increased 74% to $65.7 million. 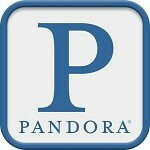 Pandora posted a profit of $2.1 million against revenue of $120 million. Those numbers are a great improvement over breaking even from a year prior and a 60% jump in revenue. However, due to concerns by advertisers over the economic outlook, as well as concerns over fiscal policy in Washington, Pandora said that the quarter ahead, November 2012 to January 2013, will likely result in losses for the company. Pandora also lowered its forecast for the next year, projecting revenue of $422-425 million, down from $425-432 million. Damn you beat me! Anyways, I love Pandora and hope they stay afloat. Its my number one data consumption app in my smartphone. Thank god I still have Verizon unlimited plan muahahahahahahah!!!! I aint sharing jack! I've tried ALL major Internet radio/ music streaming services and PANDORA was the worst. You want the best? Try Slacker, the best music, the best features, but you have to pay for the on demand music stuff. As for free radio? Try Audio addicts apps: Sky.fm Digitally Imported radio (electronic music) Jazz radio (jazz) Rock Radio (rock) they're free, streaming, so you cannot skip tracks or anything, but they play GOOD music.